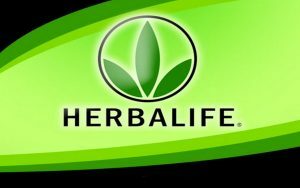 Herbalife (NYSE:HLF) has lowered its sales guidance for the second quarter, alarming some of its investors. Herbalife now expects revenue to be 1.5 percent lower than prior estimates, but increased estimates for earnings per share for the quarter and the full year. Herbalife says its lower sales numbers are partly due to employees learning the company’s new sales documentation technology and procedures. The company is also blaming disruptions caused by new FTC guidelines. Herbalife was forced to restructure its business following a $200 million settlement with the FTC in 2016. FTC Chairwoman Edith Ramirez said at the time that Herbalife must “fundamentally restructure its business” and “start operating legitimately.” The new FTC regulations went into effect in recent weeks. As part of the settlement, the company agreed to generate at least 80 percent of its total sales from customers outside of its multi-level marketing distribution network. Herbalife said it anticipates about 90 percent of its second-quarter sales will qualify under the FTC rules. Herbalife CEO Richard Goudis says of the second-quarter projections, “These figures should put an end to any questions regarding demand for our nutrition products and the strength of our go-to-market business model.” However, some investors are still concerned that the recently-implemented sales guidelines will have a lasting impact on Herbalife stock. Pershing Square Capital CEO, and long-time Herbalife critic, Bill Ackman has accused the company of being a pyramid scheme in the past. Ackman’s Pershing Square said in a statement last year, “While it appears that Herbalife negotiated away the words ‘pyramid scheme’ from the settlement agreement, the FTC’s findings are clear.” He says he still ultimately expects the company to go out of business. Ackman took a $1 billion short position in Herbalife back in 2012. According to reports, the head of Herbalife’s China operations also abruptly left the company around May 23 after a 10-year career there. No press releases from the company in May or June discusses executive departures and no news was disclosed to the SEC. Herbalife’s stock has defied the company’s critics. The company’s shares neared an all-time high last week. So far this year, shares are higher by more than 44 percent. However, the stock dropped more than 6 percent during trading after the announcement of the revised guidance.